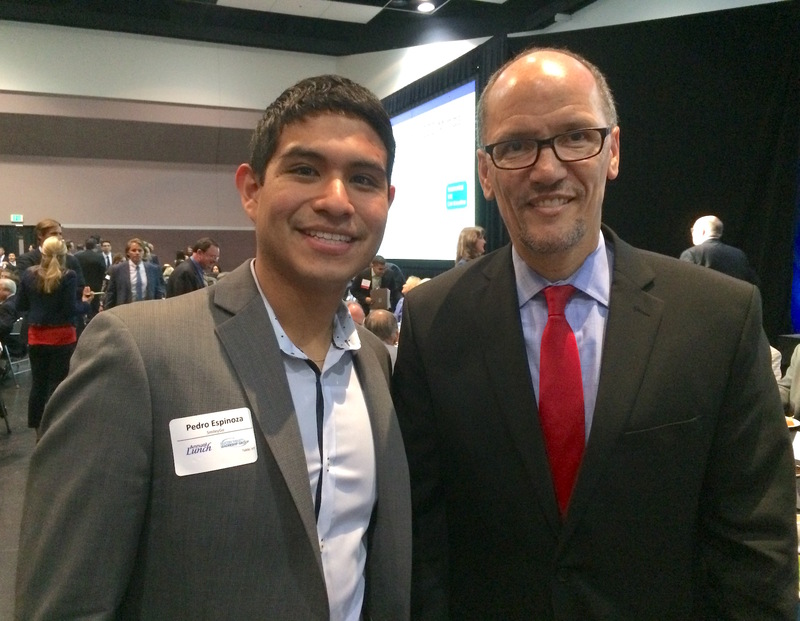 It was an honor to meet Secretary of Labor Tom Perez a few months ago to discuss how Silicon Valley corporations can generate more tech jobs for the next decade. Here are three staggering facts about our country’s economy and President Obama’s TechHire Challenge. Employers are struggling to find local talent to meet their STEM job openings. One of the results is offshoring. This damages our economy as more and more corporations are creating jobs elsewhere but the United States. In less than five years there will be nearly 1.5 million computing jobs but only 400K computer science students. By computing jobs the US Bureau Labor of Statistics refers to jobs in the disciplines of computer science, computer engineering, information systems, information technology, software engineering, and related fields. A week ago, I met Richard Holden — regional commissioner of the Bureau Labor of Statistics in San Francisco– to brainstorm how SmileyGo can use public data to empower corporations to give smarter. Perhaps one of the solutions for our IT talent scarcity can be for corporations to sponsor STEM programs in underserved communities. One would be killing two birds with one stone: 1. 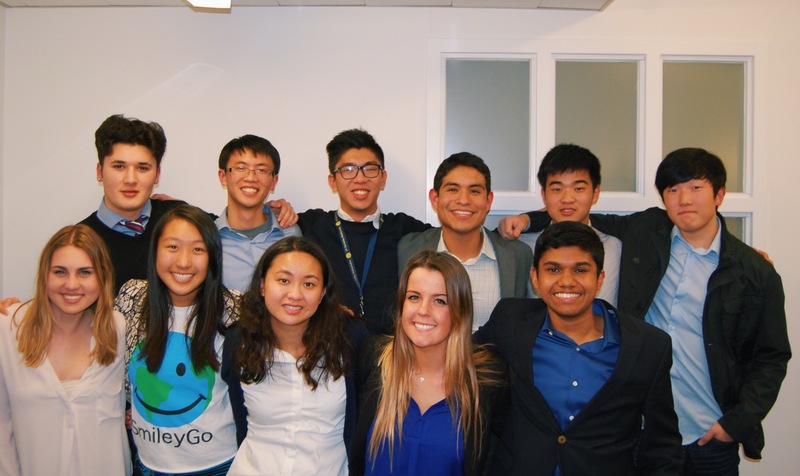 Lack of diversity in the tech industry. 2. Lack of local tech talent. Evidently, this unfavorable shortage means our government should consider an education and immigration reform in order to create more local STEM talent. There are several benefits for attracting talent from nontraditional talent pools. Statistics show that it improves retention. Decreasing retention rates are one of the largest expenses for Fortune 500 companies. Moving on, hiring candidates from unique talent pools reduces difficulty in filling roles. Most importantly, attracting talent from unorthodox talent pools helps improve workforce diversity. Diversity is necessary for your business. It not only generates positive PR but also fosters more creativity, innovation, and profitability for your business. Does your HR team need help recruiting diverse candidates? A friend of mine, Laura Gomez is presiding Atipica: a data science startup that creates atypical products that enable understanding between companies, hiring managers, recruiters and applicants. Words are not enough to describe my joy for my fellow Latinas and Latinos who are leading startups in Silicon Valley. Back in 2010, the median time to fill for STEM roles was 43 business days. In 2015, the median time increased to 63 business days. In a span of five years, the average time has increased by over 46%. By “time to fill” the CEB Analysis refers to the beginning of STEM recruitment to the start date of the employee. This slowdown increases the risk of losing talent to competitors and costs a median of $8.55 million per 1,000 vacancies via lost productivity and additional hiring work. In addition, this harms the productivity of employees who depend on the vacant role. Compared to 2010, it now takes five extra weeks to fill the average vacancy. Pursuing this further, for each additional day that a single vacancy is open, the average corporation loses approximately $407 per vacancy. Without a doubt, the government and private sector should begin to solve this rising problem. Kudos to Mayor Sam Liccardo who’s leading the San Jose TechHire initiative in order to train and provide on-the-job training and employment to 1,000 participants. The most important asset of an organization is its people.